Feeling peckish? 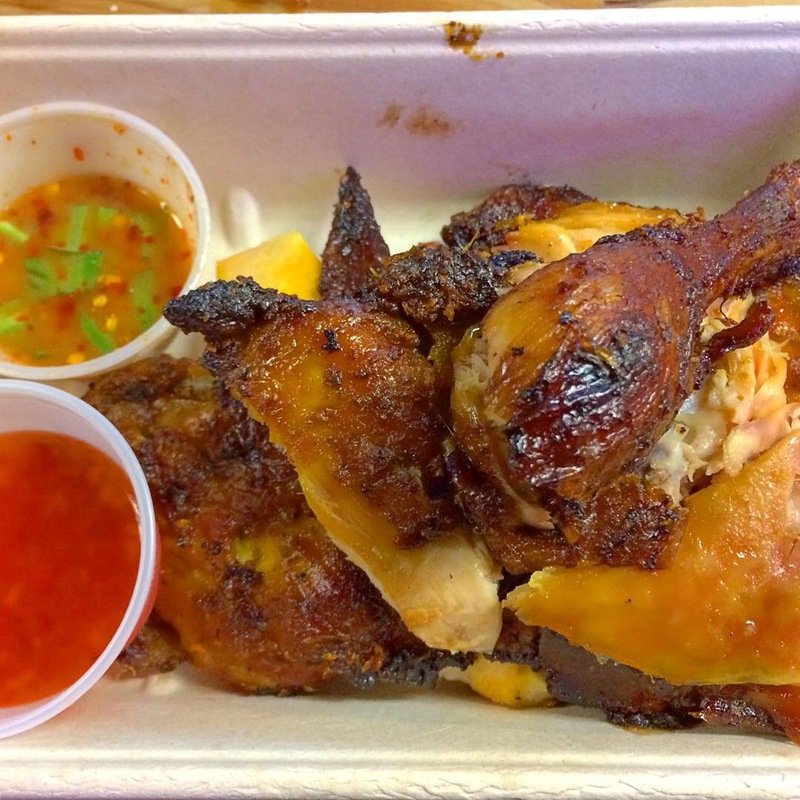 You might consider a visit to the stall from Chicks Isan that roosts in DeKalb Market, 445 Albee Square West in Brooklyn. 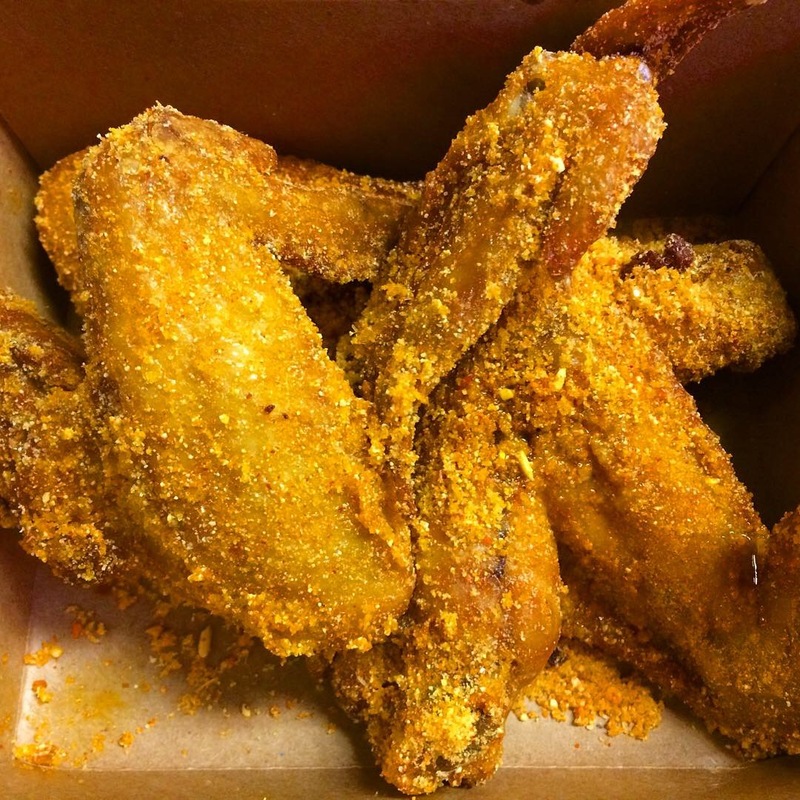 If you like chicken wings, you need to try their Zaab Wings – you might see the spelling “zabb” elsewhere but either way it’s your clue that you’re hearing about food from northeast Thailand; the word means flavorful and delicious. Speckled with a crunchy coating combining chili, lime, and mint, they’re crisp, spicy, and not at all greasy. There’s more to a bird than its wings, however, so we also got an order of Isan Style Grilled Chicken (Kai Yang) marinated with shallot, garlic, turmeric, and coriander root. (Thai cooking commonly uses coriander root along with the stems and leaves; it brings a pungent, earthy quality to the party.) The agreeably grilled half chicken came accompanied by two sauces, the sweet-hot orange colored one you see universally, and a more unusual herby, spicy variety that complemented it distinctively. Lots more to try from their menu as well…. This entry was posted in Instagram, Restaurants & Food Courts and tagged Thai by Rich. Bookmark the permalink.